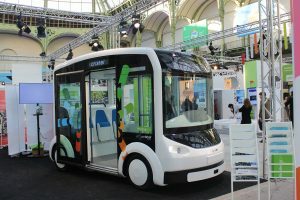 The first interactive demonstration model will be shown at the Grand Palais in Paris from 4 to 10 December 2015 as part of the COP21. 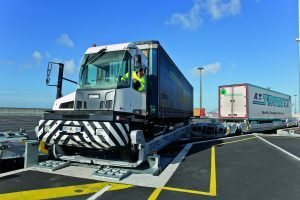 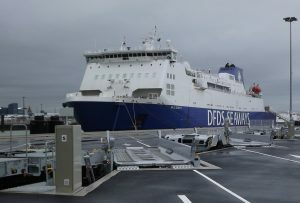 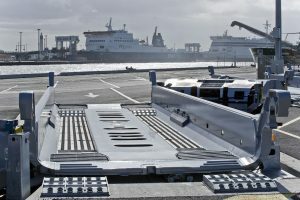 THE first intermodal terminal for direct loading of lorry semitrailers between rail and ferry in France was inaugurated at the Port of Calais on October 23. 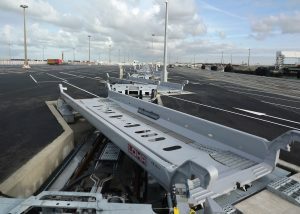 Yesterday the port de Calais inaugurated its new road-rail combined transport platform equipped with a solution by the Alsatian company Lohr. 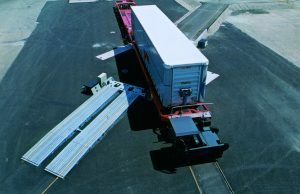 This article from the Lëtzebuerger Gemengen of May 2012 also talks about the benefits of the rolling highway concept. 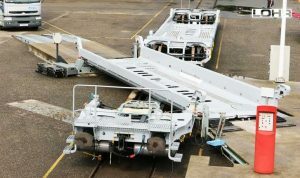 A revolution is underway in the world of rail transport. 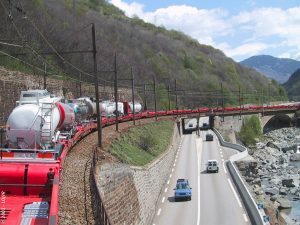 Since January 2012, trains 850 m long have been authorised to run on the French network. 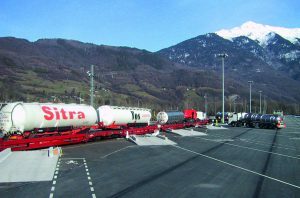 These longer trains can therefore take more lorries in the case of combined rail-road transport and thus reduce the number on our roads. 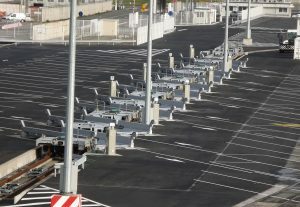 An important step for Modalohr wagons: they have been authorised to go through the Channel tunnel.